The time-travelling cow commandos of the CIA know all about facing deadly foes. In Professor McMoo’s crack time-machine, they travel across time and space to defeat evil Ter-Moo-Nators and repair mistakes in history! 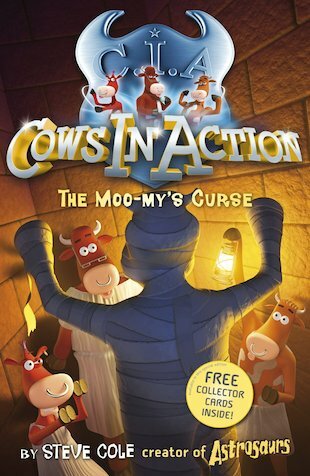 But when their moo-mentous missions take them to Ancient Egypt and the Blitz, will they have the beef to survive a mummy’s curse – and the outbreak of dreadful World War Moo? It is really, really, really, really, really good.